Palampur got its name from the word Pulum that means abundant water. It was a part of Sikh kingdom and later came under the British rule. 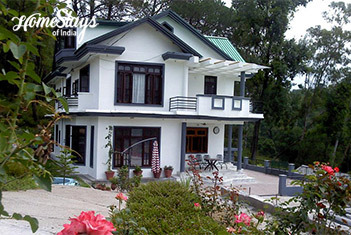 About 35 km southeast of Dharamsala, Palampur is a bustling little town known as Tea Capital of North India. 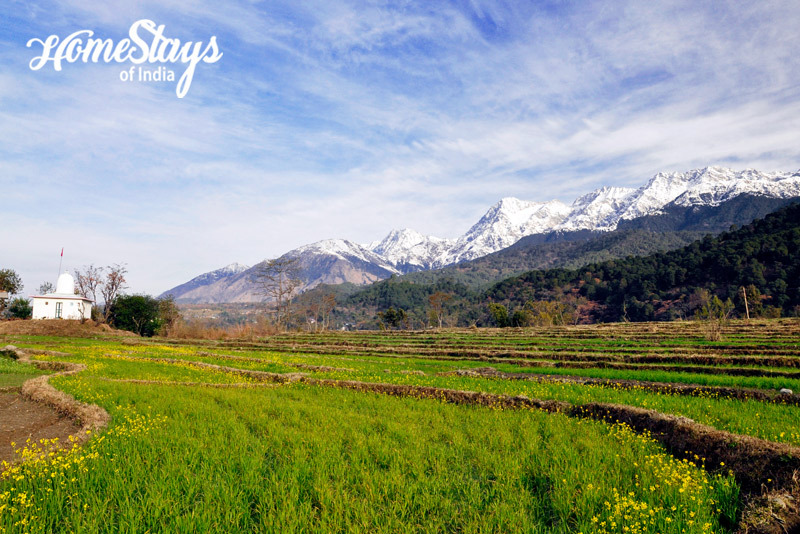 Its paddy field, tea gardens, colonial architecture and majestic Dhauladhar Range in the background make a perfect landscape. 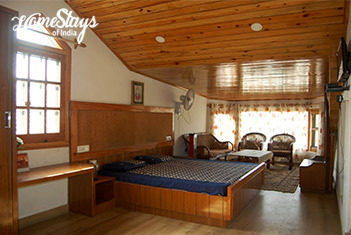 It is suitable to every age in any season because of its mild altitude of 1220 m and comfortable weather throughout year. 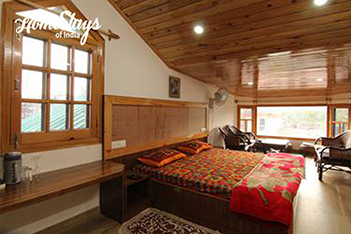 Our Homestay is ideally located at a walking distance from the little hilly railway station of Palampur. Surrounded by forest at the back and village in front, it’s a well curated family run home stay. It has 3 double rooms on the first floor and 2 room on the top floor, all with attached bathroom and running hot n cold water. As an extended part of the home, we have a 4 bedded duplex type cottage with private kitchen, well suited to family. Saroj Sood is a very soft spoken and elegant lady who is also the in-charge of kitchen. Her husband Prakash Sood is a business man and always the biggest support to her. Saroj uses home grown fresh vegetables. She loves to serve North Indian veg. food with local cuisine like Siddu and Bhaturu but you may ask for non-veg. food also on extra cost. Breakfast as per guest choice like Paratha, Sabji Poori, Sandwich, Butter Toast, Bread Omelet etc. Paragliding at Bir-Billing • Enjoy hill train ride • Go for forest walk • Visit famous Kangra tea factory and tea estates. Including: Veg. Breakfast, Morning and Evening Tea. I was searching a silent and less crowded place for summer vacation with my family to stay away from 45℃ temperature of Gujarat. 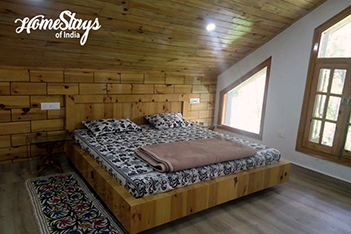 I found this place through a Facebook group known as Homestays of India founded by Mr. Vinod Varma, really I am very thankful of Mr. Vinod Varma to get an amazing place to make my memorable tour with family. The property is at very peaceful location and having great facelift with humble staff. The property owner treat you like family guest, even they had invited us to have a tea with them at their home too. We spent much time to chat and share views and reviews too. I had booked family cottage for three days and during those three days we have visited all near by places. We had enjoyed self cooking option at our cottage too. Overall it was wonderful stay at this place and I would like to suggest to come here if you want to spent few days with nature. I had heard a lot about Palampur and wanted to visit since long. I got to know about this homestay from a friend. 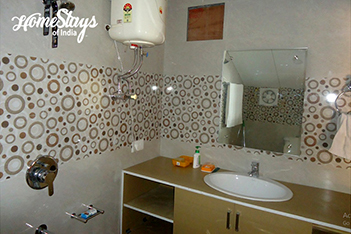 I can’t thank her enough to recommend this homestay for the summer vacation with my family. 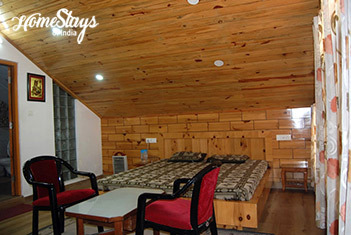 They have spacious well maintained and airy rooms. The care taker was soft spoken. The best thing I liked was the pine forest just behind the home. I spent good time with my kids out there.